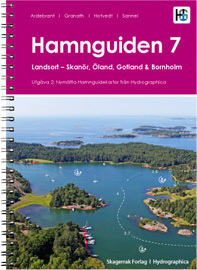 Harbour Guide 7 describes all anchorages and guest harbours/marinas from Söderköping – Skanör including the islands Bornholm, Öland and Gotland. 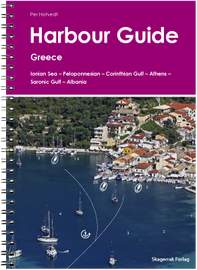 Each harbour is presented on its own page in the Guide with a detailed chart, aerial photograph, descriptive text and fact box. The charts include more details of depths than is usual on standard charts and chart plotters. We have also marked the best places to tie up, where the photograph was taken and where you will find the safest fairway. 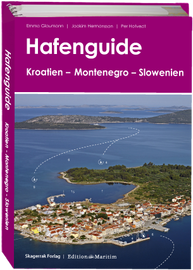 The texts in Harbour Guide 7 describe the history of the location and provide you with tips and ideas for the various activities available to you in the harbour. You will also find information about anchorage, sheltered places to lie, how best to moor and what you should pay special attention to. The aerial photographs and markings provide you with a quick overview of the character of the harbour, its atmosphere, facilities and fairways, danger spots and mooring points. Special skerries and similar and shallows are marked in the photographs. The text is in Danish and Swedish. An automatic generated Google translation can be downloaded here.